From small businesses to large organizations, employee retention is a metric on which every company has their eyes. Businesses do play a role in affecting their retention rates by keeping their employees engaged in a variety of different levels. This could include offering a competitive salary, attractive benefits package, or a flexible work schedule. For business owners, and those in human resources, engaging employees can also mean career development. What type of training is your operation offering to build upon employee skills sets and how are you developing valuable team members? Think about how you can create programs or initiative for workers to enroll in to develop skills in which they have an interest. 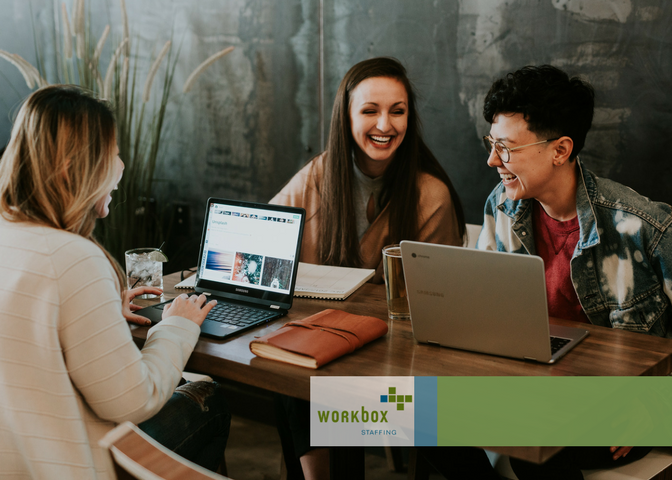 But, as we talk about how the importance of keeping employees engaged in your work environment, we should discuss — and recognize — the impact a disengaged employee can have on a workforce and organization. An employee who feels undervalued, underappreciated, or is potentially not the right fit for the environment can affect other employees and ultimately your retention rate. Let’s take a look at the difference between engaged versus and unengaged employees. By engaging your employees over time, you will create an emotional attachment to your company. Ideally, employees will feel positive about their environment, their coworkers, and will even advocate for your company. Recognizing disengaged employees isn’t necessarily as simple as one might think. It’s important to note that a disengaged employee is one that openly expresses their “disengagement,” as well as one that just isn’t invested in the company, the culture, or goals, and will continue to look for the next best opportunity for them. We can also define some different levels of disengagement. A moderately disengaged employee might still be a competent employee, but also one that doesn’t feel the need go “above and beyond,” or take the extra step in their work environment. How does this affect your business? A higher turnover ultimately means your organization will have to spend more time, money, and effort looking for new candidates, interviewing, training, and getting them up to speed — onboarding — so they can do their job efficiently. High by taking your focus off of moving the business forward, and instead continually worrying about managing a staff. In the end, retention and employee engagement are all aspects of a work environment over which an employer has control. By understanding what your workers want from their careers and how you can help grow their professional skill sets, you’ll be better equipped to know how you can keep your team engaged in their day-to-day. For more information and best practices about employee retention, download our < i>Guide to Increasing Employee Retention< /i> today where we cover many reasons employees leave and how you can create a solid company culture to increase your retention rates. https://workboxstaffing.com/wp-content/uploads/2018/10/WBX_Logo_RGB.png 0 0 CurlyHost https://workboxstaffing.com/wp-content/uploads/2018/10/WBX_Logo_RGB.png CurlyHost2016-10-25 08:35:002016-10-25 08:35:00"The Impact of Engaged vs Disengaged Employees on Retention"